We realize that parents are busy people. So, to accommodate you, we are open extended hours to fit your schedule and make taking your child to the dentist as easy as possible. Sometimes you might have a situation arise that needs an unplanned dental visit such as a chipped tooth, a fractured or broken tooth, a cut or bitten tongue, toothache or some other dental emergency. Again, we have made it as easy as possible to accommodate those situations. 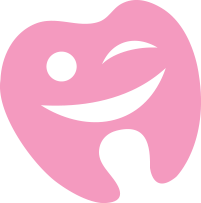 We accept Medicaid, CHIP or other dental insurance plans. We are open six days a week, and on Wednesdays, we have extended evening hours. Give us a call or email us so that we can work together to give your child the gift of a beautiful smile and a positive relationship with dental health for life. If you are experiencing a true medical emergency, please dial 911. If it is a dental emergency, we are available 24 hours a day, 7 days a week. For after-hours emergency care ONLY, you may call (210) 510-2862 and leave a message.